The editors at EatingWell magazine have lots of budget-friendly ideas for work week lunches. 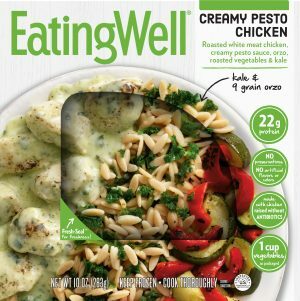 One we love: Stash a few EatingWell frozen entrées in the office freezer for those days when you don’t have time to pack lunch or go out. A little meal-prep effort in the evening – or better yet, over the weekend – sets you up for healthy, affordable lunches all week long. Check out this new 1-Week Meal Plan of Healthy Budget-Friendly Lunches for Work for some great salad recipes, bento box tips and a protein-packed sandwich suggestion.